I may want to scrap my old flower sheets, but I will always have a thing for granny florals. Crewel floral still life textile art is hanging all over our studio and a Mid-Century sunflower oil painting Max’s mom gave us is currently gathering dust in my mom’s storage. Definitely squeezing that piece somewhere in here! But for now, I’m happy scavenging Craigslist for vintage and Mid-Century pieces. 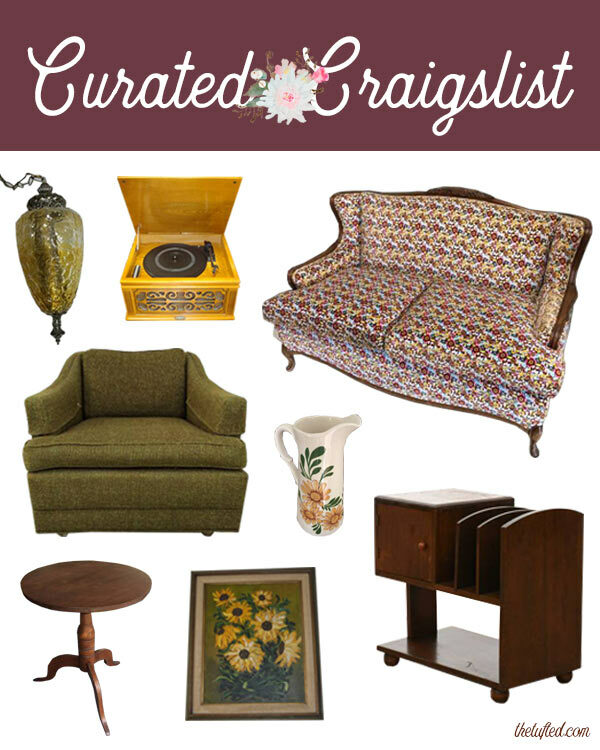 Needless to say, this Curated Craigslist is inspired by florals (and that settee in particular!). Enjoy!